If you've got a podcast, keeping a constant flow of podcast ideas is something that will eventually be something you'll have to confront. Starting out strong is the easy part. Having a stead stream of podcast ideas is not so easy, but I've compiled a list of quick ideas that are sure to help. Talk about what to do, what to say and what to ask when connecting with influencers in your niche. With that said, I hope that you've found this list helpful and if you've got some other prompts that you think should be added to list, make sure to add a comment and you might just see your idea added to this post. If you write content, writer’s block is the one thing that is surely going to rear it’s ugly head eventually. Writers block, however is something that can be overcome and the good news is that it’s fairly common. So no need to fear that something is wrong with you if you wake up one day with a blank slate wondering why it is so hard to figure out the next piece of content you’re going to publish to your eagerly awaiting audience. Even for my own candid fans, the Candid Writer experiences the unpleasant reality of writers block too. So that brings us to the meat of the conversation in today’s blog post in asking this one question. How to deal with writers block ? This 10 tip essential formula is comprised of a number of surefire and legitimate writers block strategies below that will surely be helpful in addressing your writers block. With that said, please consider bookmarking this page for quick reference in the future. WATCH. No we’re not talking about your wristwatch or anything pertaining to time. However, I am talking about watching people. When it comes to content, let’s face it, the more things that we can do to boost our creativity to get your writing kool aid going again is something worth looking at. People watching is a unique strategy to give you a different perspective regardless of the content that you’re producing for your website or blog. As you engage in this strategy, think about the niche that you’re in and make connections. Additionally, just getting outside, sitting in a venue to watch people can invoke ideas that aren’t going to be realized sitting at home in front of your computer. This strategy is called SPARK. Some of you may read this one and be all in, while others may think, eh meh.. not for me, but when I struggle with writing personally, sometimes it’s all about watching someone else’s adversity to re-energize my mind beyond the writers block threshold before I’ll write another word. Whether it’s watching a movie that’s moving emotionally or just something to light a fire under me, video clips like this one (as seen below) can be the spark you need to cure your writer’s block. What I take from videos like this one is not to quit. That whatever I experience in my block for this moment is temporary and won't last forever, but that it depends on me to take steps to get through it. That my passion for what I do will lead me back to a place where I can get back up and write again. Most of the time, it’s all about the mindset. A spark is what got you started and getting the spark back will get you going again. Enjoy the video. Try some unconventionalism and visit the blogs that have a different spin and perspective in the niche you’re in. Just as an expression, but certainly something worth thinking about is looking at it from a completely different perspective (instead of seeing it with your eyes open, why not close them). Remember the days of just firing up a blog and typing away and that was the only way people blogged. Then all of a sudden photo blogs and micro blogs starting showing up. Blogging from a different lens spawned all sorts of new ideas. What will the unconventional approach do you for you to address your writing block woes ? Squash the crickets in the room. This is about answering all the questions that people have that no one else is answering. Few times are these questions easy and even in their complexity and difficulty, it will add to your credibility as a blogger and writer by those viewing your responses. Additionally, visiting forums, places like social media and question / answer websites can provide you with a bottomless bucket of inquiries that no one else is answering that you can thus curing your writers block when you are unable to come up with new material on your own. Even better yet, taking this approach, as I eluded to before can elevate you positively in a way that doesn’t happen when you’re simply answering questions or writing straightforward about topics that hundreds or thousands of others have already addressed. Understandably this differs from niche to niche, but is a worthwhile strategy addressing the writers block issue that everyone experiences eventually. Another strategy that’s meaningful in getting writers block help is what I like to call “jumping in the ring”. Get in the middle of an argument on a topic in your niche. Their responses and your contributions to the dialogue will get your writing about both sides & perspectives on the topic that people are disagreeable about. I get it that it’s not the most comfortable thing to do for some people, but if you’re the kind of person where disagreements don’t bother you to the point of uncomfortability, this is a writer’s block strategy that can be helpful in transitioning you from the block to writing meaningfully again. Flip writer’s block on it’s back with Flipboard. If you haven’t heard of this, then you’re missing out on an endless supply of ideas that can get you moving with respect to you writing again. There is always something to read using Flipboard. One particular aspect that makes this one of the best outlets to draw from for your writers block is that it doesn’t really matter what niche you’re in. This strategy is far reaching because there’s conversation going on just about everything you can imagine which is great for us as writers. In fact, I would go as far as to say that you should look at Flipboard daily, if nothing else to develop a contingency of topics to jot down so that when writers block strikes that you can easily go back to the ideas you’ve written down so that the time you experience writer’s block is minimal and short lived. The next strategy is about fear. Yes, write about what makes people uncomfortable. Is there something in your niche that makes your palms sweat and makes your heart beat a little faster ? There’s always something that makes people fearful no matter what the niche is. Let’s talk about one in particular in blogging and maybe you’re not scared of it, but as people we naturally fear getting in front of a camera and talking to people we don’t know. What I’m referring to is hosting webinars. Depending on the type of blogging that you do, webinars are probably the easiest ways to get your message in front of a targeted and captive audience, drive traffic and generate revenue, but most people don’t do it. Why ? Getting in front of the camera is where it starts for most. Additionally, the fear of something going wrong and it turning into a complete disaster pretty much sums up the rest of the fear on this. With that said, what other things in your niche do people fear ? Once you identify those things, they become topics that you can write about. This is a good strategy that can cure writers block at a time or moment you find yourself experiencing it. If you’ve come across material that is of interest to you that someone else blogged about in a text blog post then podcast it/make your audio version of the same topic. If they did an audio version of it, make a video version of the material on the same topic. It’s easy and since information can be found in many different ways just as I have explained in this post for your writers block, this opens up many new doors for you to get you writing again. Be all about the visual representation. What I’m talking about here is utilizing Pinterest, not to seek out photos to add to your next blog post, but to peruse their massive collection of images that can help you break through your writers block. Even if you do a simple search for pins on popular topics that align with your niche, you’ll be pleasantly surprised with the results and where the pins you discover may take you in developing new content ideas. The old adage is that a picture is worth a thousand words and that couldn’t be more true in the case of all the imagery at your disposal on Pinterest. What if blogging didn’t exist ? What if there was such a thing as mobile blogging ? What if Darren Rowse didn’t get into blogging, would there be a Problogger ? What if blogging couldn’t be monetized.. would anyone blog at all ? What if Google started their own blogging platform ? I’m sure you can come up with more but writer’s block is very temporary for all writers and all you have to do is consider these strategies and add them to your workflow and I assure you confidently that you’ll never run out of things to write about. Write on and keep this blog post handy and close for reference when you struggle for next content idea. Wow.. and so many people are in this very situation. Blogger or not, it's common to not know what to write about or what to blog about, "especially" if you're someone that writes all the time or for those of you that don't. The same can be said for anyone that wants to just simply start writing too. Nevertheless, days where you struggle for your next blog topic are going to come upon you. It could be as immediate as when you start writing, it could happen weeks into it, months or even years after you've been doing this successfully. With that said, Quora is certainly among one of my favorite websites to spend time on. I say this not only because it allows me to share what I know with other people and provides another platform where I can be helpful, but it also helps you find a pulse on growing or repetitive topics of concern. If you're not familiar with Quora, it's a question and answer type of website. Something that I referenced on more than a couple of instances in my Top 100 blog post. I want to write a regular blog, but I really don't know what to do. I have to write a 4000 word essay and need some ideas on what to write on. What are some ideas to write a short story on your own invention ? I want to write a novel but I don't have an appealing story idea. I want to create a blog because I like writing, but I don't know what to write about. What are some suggestions for some topics to write about ? I personally have my own ideas on how I would respond to each question I just mentioned, but the point of highlighting those questions is to say that this is a very common topic that comes up again and again. It doesn't matter whether you're online, offline or just about anywhere you're likely to find a piece of paper and a pen.. this seems to be something that no matter how connected you are to your audience or your topic.. that "don't know" moment will eventually introduce itself to you. So what do we do about this plight of eventuality of not knowing what to blog or write about ? The easiest thing to do is pay attention to what people are saying. I will reference Quora again in this section. In my arsenal of resources to reference when I need something to write about, this is very helpful because as a Q&A website, people have questions that they need answers to as you've heard me say before throughout this blog. When I spot significant interest on a topic, I know immediately that I've found my next conversational piece to write about. The sense of purpose that I feel in knowing I'm writing about something that is an area of concern for people is meaningful. Currently among the answers that I've given on Quora alone, as of now has received over 100k views since I've been a contributing member there. Among those answers I have helped people discover what they'd like to talk about on their own blogs too. Another avenue that I have taken and would highly suggest is using your keyword tools to discover what to write about. Even doing light research on what popular keyword tools are available will likely lead you to the doorstep of Long Tail Pro. This is definitely in the top tier of research tools, but even more importantly as you perform searches within this tool, the discovery for keyword phrases help in determining what other keywords people are searching for. Additionally, starting out with your seed keyword or phrase and finding the long tails that are being searched become very helpful in confirming your next piece of content to write or blog about. 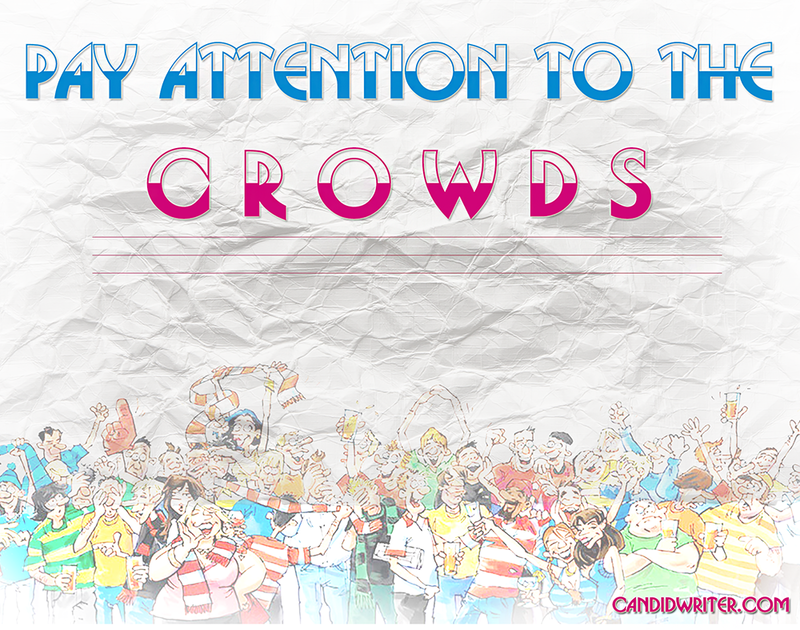 With millions of blogs online today, lets just say.. "everyone's got something to say". However, what I like to do is pay attention to what the more influential and popular bloggers are talking about. My feeling is that if they are talking about, I should be too. So for those moments when you're not sure what to write about, a simple activity such as checking out the top three to five blogs in your niche can turn on your lightbulb and lead to the completion of your next published work. Additionally, what I would advise is to do your competitive research. SEMrush, Open Site Explorer and Ahrefs are all very good tools that can help you spot out your favorite bloggers top posts that are getting the most attention by their readers. When you're able to focus in on their top posts, that also gives you a road to take to determining what you should be writing or blogging about too. 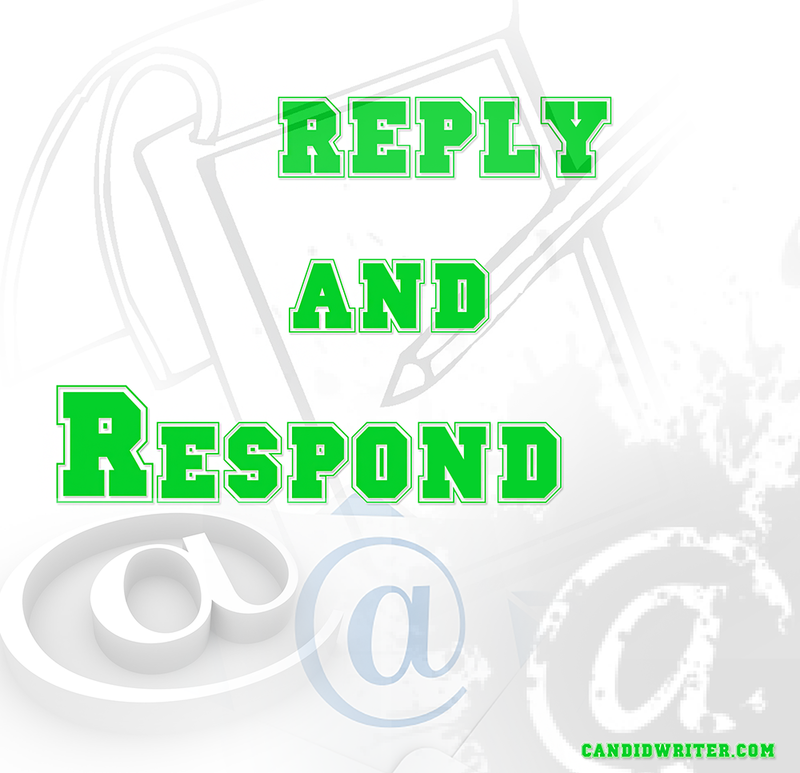 Respond ? One word ? What's that ? Well how often have you come across something that you read that you didn't agree with ? It's easy enough to send off a quick email to the blogger or person that wrote it or write a quick reply as a comment to the post, but the route I prefer to take is to blog about it. To respond in a post can be in the form of your own perspective or opinion on what you read, your positive feedback or not so pleasant criticisms of the topic, but either way, this is another strategy to use when you are struggling to find something to write about and needless to say.. there's "always" something to respond to. It doesn't matter whether it's the news in your niche, a contest, something controversial or something that's trending on Twitter. So with that said, I get it.. there are days where your next idea to write or blog about won't come as easy as the last, but there are channels to draw from that can surely make it easier than trying to come up with it on your own. 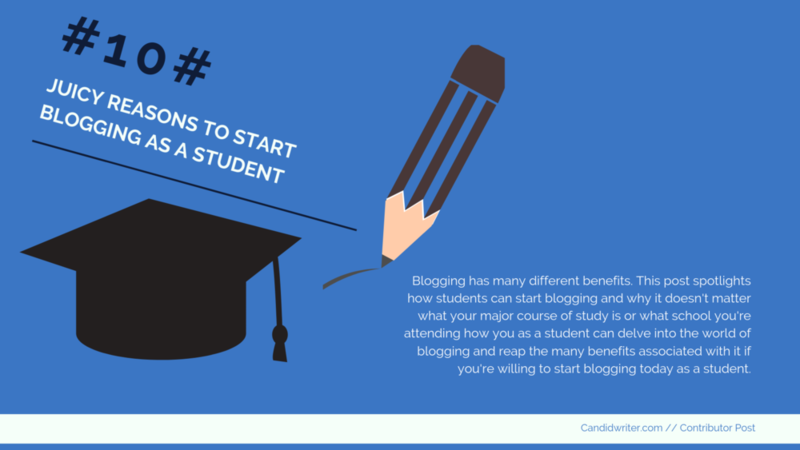 We've covered a lot on the subject of how to start a blog. While it's been a lot of information it's all aimed at minimizing the learning curve so that you can hit the ground running successfully. With that said, lets recap what's been covered so far. Part I was about determining the blogs goal, purpose and finding your voice. Part II was about who is searching for your content, niche and keywords. Part III was all about the domain name. Part IV focused on hosting.. where should you house your website ? Part V was about the money and generating revenue from your blog. Now we find ourselves in the last installment of this blog series and that is on blog traffic and promotion.. more specifically why is this such a difficult task, why do so many struggle with it and how can you get more people to your website. These are all very informational resources to give you more ideas on growing your traffic. Each blogger I've mentioned has amassed quite a following and has traffic stats that many if not all of us have aspirations to reach as well. While we're on the subject of informational resources, please watch out for my next blog post that will feature a post that has taken me weeks to write on over 100 ways to increase website traffic and / or promote your blog. So while this section is the end of this blog series, my next post, albeit separate will compliment this section as a resource for you on the conversation of website traffic and blog promotion. Nevertheless, in this blog post, I will focus the conversation on explaining traffic methods that just don't work anymore and why you should stay away from them. You may be thinking.. hey, just show me what works, but my thoughts are that when you're seeking out or implementing traffic methods.. it's really a lot of experimentation and it's better to know the bad neighborhoods to stay away from so you don't put your blog at risk for a penalty sometime down the road. So lets start with the most basic. Understand that Google wants and has "always" wanted to provide users with quality information. If you're not producing quality content, just know that you're not going to make it that far in this era of content marketing. So don't go the "thin content" route. If you're a microblogging website, then my suggestion is to produce content regularly and by that I mean you should be writing "everyday". So while your content is going to be thinner than the traditional blog post, at least your blog will have a lot of it consistently over time which will look good to Google. The next tactic to stay away from is reciprocal link exchanges. Unbelievably, I still get email requests for this type of linking. It's so 1999... well maybe not, but it sounds good to say it like that. Nevertheless, anything that you do that looks like a manipulation of the search engine is bad and reciprocal linking just looks terrible, not to mention it's a dead giveaway that says, "Hey Google, look at me.. I'm going after a cheap, useless link so I can inflate the number of backlinks that I have". You can count on getting hit with a Google penalty if you're caught doing this. It may sound like a great idea when the newest backlinking tool comes out for ten dollars claiming you can build links on autopilot, but I'd steer clear of offers like that. Obviously the more quality links you have can lead to more authority, better signals to Google and better rankings, but that's something that you're going to get through sheer diligence, patience and hard work. There's no free lunch when it comes to getting backlinks. Many have tried and failed miserably. Any software that claims to be able to get you thousands of links is probably more than capable of doing it, but all you're going to get in the long run are backlinks that you couldn't give away even if you wanted to. Your backlink numbers will look great, but they won't have any value whatsoever. Article marketing is another tactic that has had it's day and is now a thing of the past. Your time is better spent elsewhere. After the Google Panda update, websites like well known Ezinearticles were hit badly. Back in 2011, after examining Ezinearticles traffic statistics, they were seeing millions of monthly visitors and just one year later, over half of that traffic disappeared. Article marketing used to be a traffic strategy that everyone advised was the way to go to get backlinks and website exposure but let's just say that no one really talks about article marketing anymore. Another one is the use of link pyramids. It’s basically a layered linking technique. You may also hear this referred to as building backlinks to your backlinks in the form of a pyramid. You start at the top with your main website, then point a bunch of high page rank sites to it and then layer it again below those with a bunch of low power websites. However, again it’s a manipulation of the search engine and they leave “footprints” that Google can sniff out. Once Google caught on to that, it became a poor method to use. So with that said, link pyramids is a website traffic method that you want to stay far away from as well. The last one I’m going to mention is private blog networks. There are many that would argue that you should use them and many that would agree with my stance on them. Here’s the dirty truth about private blog networks. They work… and Google knows it. Private blog networks known as PBN’s can rank a website faster than nearly any other website strategy and as a person looking to rank their blog, you’re going to come across people selling spots on their PBN’s and guess what.. you should avoid that strategy regardless of the temptation. You should avoid it because Google has bitten quite a few private blog networks over the years and it’s getting better and more efficient at sniffing them out. Once the network is taken down, “everyone” loses rankings and suffers a major Google penalty. It can take years to recover from a Google penalty. Nevertheless, getting traffic can be difficult because doing it the right way means putting in a lot of work and when it comes to straight talk, there’s a lot of people that pursue the traffic by taking a lot of shortcuts to get there by using automated methods, bots, scripts and other ill advised strategies that aren’t best practice or long term sustainable solutions. However, whether you’re a newbie blogger or an advanced blogger, there are many ways that you can acquire traffic to take your blog from zero visitors to thousands per month. So with that said, refer to my post on over 100 ways to get traffic to your website which will result in greater referral traffic, more exposure, more visitors and more promotion for you, your blog and your brand. I want to thank you for reading this blog series and I hope that you’ve been able to take at least a few nuggets of information from this that will ultimately help you to avoid mistakes that others have made when they decided to start a blog too.